Cabinet Pro Supply was started with trade professionals and DIY Homeowners in mind. We provide high quality American made cabinets to tradespeople and Do it yourselfers at low wholesale prices. We give you complete control over your orders by providing all the dealer specs you need to put together your cabinet orders. At the same time we know our products better than anyone and we thoroughly check all orders for accuracy to prevent common mistakes. Our goal is to help you complete your project on time without the stress that can go along with a kitchen cabinet project. Each one of our customers is of the utmost importance to us, and we strive to earn their continued business on every order. You don't have to worry about being taken for granted at Cabinet Pro-Supply. Day in and day out you will always receive the same great pricing and service from our helpful representatives. Give us a call today and let's start building a long lasting relationship that's beneficial to you and your business. You don't need to waste any more time shopping for cabinets, now you can spend your time designing, selling, building, and enjoying the fruits of your business. Good design brings continuity, function, and beauty to a living or working space. By combining your lifestyle and ideas together with my personal touch, I strive to weave these aspects seamlessly into a vision for your project. Prescott Kitchens is a full service design firm offering everything needed for your custom designed project with all the built-in custom cabinetry of your dreams. With over 25 years experience in satisfying customers in every aspect of their project. 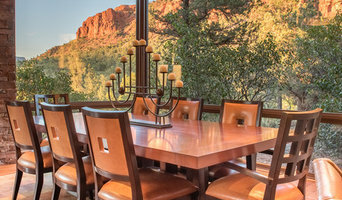 Serving Sedona, Arizona and surrounding area's, Lynne M Design is your premier choice for quality and intuitive interior designs. With unparalleled experience and expertise in the design industry, Lynne ensures that the client's needs and wants take priority throughout the entire process. We would like to introduce our company to you. MCK Woodworks, LLC is a complete Custom Woodworking Shop; with one of the most elite woodworking teams in Arizona. MCK Woodworks offers quality, experience and dependability worth reaching for! We strive to work one on one with all of our customers, helping you to bring your ideas to life. We work with all types of wood and have a wide variety of door styles and molding to choose from. We can also custom match finishes to suit your needs. *Hunter Douglas Authorized Dealer* Get beautiful views, privacy and conserve energy all in the comfort of your home. Voted Sedona’s Best Window Treatment Specialist 10 years and counting by the readers of KUDOS. I’m Aileen Smart. Years ago, I noticed a need for a different kind of custom window treatment and home accessories design service: a customized, attentive, sensitive service that actually listens to its residential and commercial clients. On August 1, 2002, we opened Smart Window Creations, Inc., in amazing Sedona, Arizona; my focus is on creating beautiful window treatments. Local residents love the often breathtaking, sometimes mystical, and always enchanting views this unique area has to offer. Your window treatments should enhance your viewing pleasure. At the same time, however, those treatments need to consider the region’s climatic challenges of heat and cold. Using our years of experience with this area’s climate, we will assist you in choosing window creations that minimize your energy usage, maintain your privacy, and maximize your views -- all with your ideas, wishes, and budget in mind. Smart Window Creations, Inc. represents top-quality brands in blinds, shades, drapes, shutters, valences, cornices, bedding, upholstery, and all accessories available to complete your home or office image. We are uniquely qualified and certified as a priority dealer for Hunter Douglas; in addition, we are honored to carry their exclusive Alustra® line of designer window fashions. Over the years, I have continued to add many additional services in response to requests from my clients. From my two years of intensive study in personal color and design, I bring an artist’s eye to assist you to select exactly the right nuanced shades complement your home and inspire compliments from your guests. Our primary objective continues to be providing exemplary, personalized customer service — the kind of service that listens to you, understands what’s important to you, and appreciates your particular tastes. When you talk to us about your window treatments, home, office or personal image needs and desires, you can be sure of one thing: We hear you! Design is our passion! 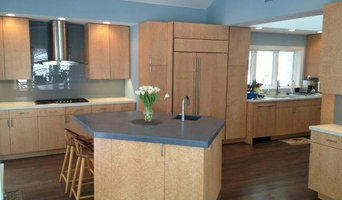 Since 2007, we have designed numerous commercial and residential projects including both new construction and remodels. We bring our projects in on time and within your budget by guiding you through the design process from start to finish. Our extensive network of resources include tried and true professionals who make your design project enjoyable, affordable and time effective. 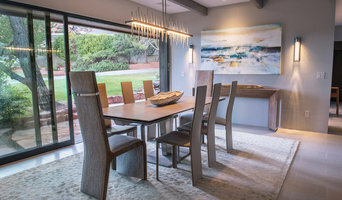 Whether you want new flooring for a single room, a whole houseful of furnishings, custom work like mixed media wall finishes, a contemporary glass wall art installation or an individual unique piece of furniture, Soul Spaces has the experience and expertise to breathe life into your design project. We specialize in helping you identifying your design needs even if you aren't sure what you want. Our Home Staging Division will stage your home for living in or for resale using either your furnishings or ours. Sedona Soul Spaces Interior Design and Decor creates extraordinary spaces that will truly delight your soul! We take the client/designer relationship very seriously and understand that it is equally, if not more important than the actual design. It is our goal to accurately depict the client's vision & ensure it is a personal, individualized reflection of you. Please reference our client page for more details. We look to continually take everyday living spaces and turn them into one-of-a-kind rooms with grace, quality, continuity and function. It is important that your space feels just as good as it looks. Although we are not against trends & setting trends, we believe it is important to start with a foundation that is timeless and build off of that. We strive on keeping an attention to detail with the architecture as well as the surrounding environment. In the end, you will have a home that reflects you in an understated elegance of style that speaks for itself. What to expect when working with Christina Personal, one-on-one, individualized attention to your needs as well as the design. We want to know about you in as much detail as you're willing to divulge: Your family, lifestyle, how you live in your home, how you share your home, what you expect to feel in your home. We want to know the real, honest truth about how you enjoy your home. Give us the raw details of your budget, your expectations, your likes and dislikes. We particularly love the dislikes. Believe it or not we learn a whole lot more this way. We enjoy the process of getting to know you as much as the design process itself. Once we have all that, combined with trust, and understanding the roles of the designer/client, a relationship is created and a unique design experience is about to be under way. 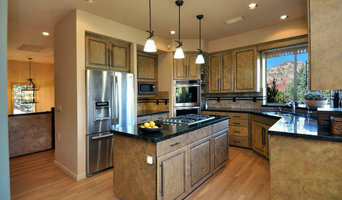 Timberline Woodworks is based out of Prescott, AZ. Our projects regularly take us throughout Prescott, Prescott Valley, and the Tri-City Area. We are experienced in all types of custom woodwork and specialize in custom Built-Ins and custom cabinets for your Home Theater, Home Office, Library, or any room in your home. 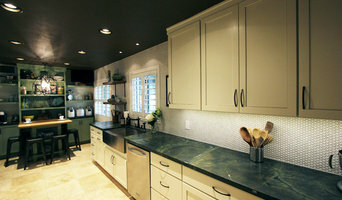 We also carry Sollid Cabinetry as modular line to meet your kitchen and bath needs. *Authorized Dealer for DeWils Custom Cabinetry* From the latest trends in style and materials to the most polished traditional fashions, Elevate Cabinetry will assist you as plan your new space. We will guide you through the process of selecting cabinets that are perfect for you, making sure you understand the ins and out of cabinetry so that you can make informed choices based on your unique situation. Design services that include 3-D concept plans are available. We will measure your space and work with you to select everything from the door style and materials, right down to the details that will make you cabinets work for you and your lifestyle. We also offer professional installation services. The precision and skill involved in cabinet installation benefits from a skilled carpenter. If you need help with this end of the process, please let us know and we will have our installers take the utmost care in giving you an end result that will endure. Serving Northern Arizona, including Sedona, Flagstaff, Cottonwood, Prescott, and Payson.